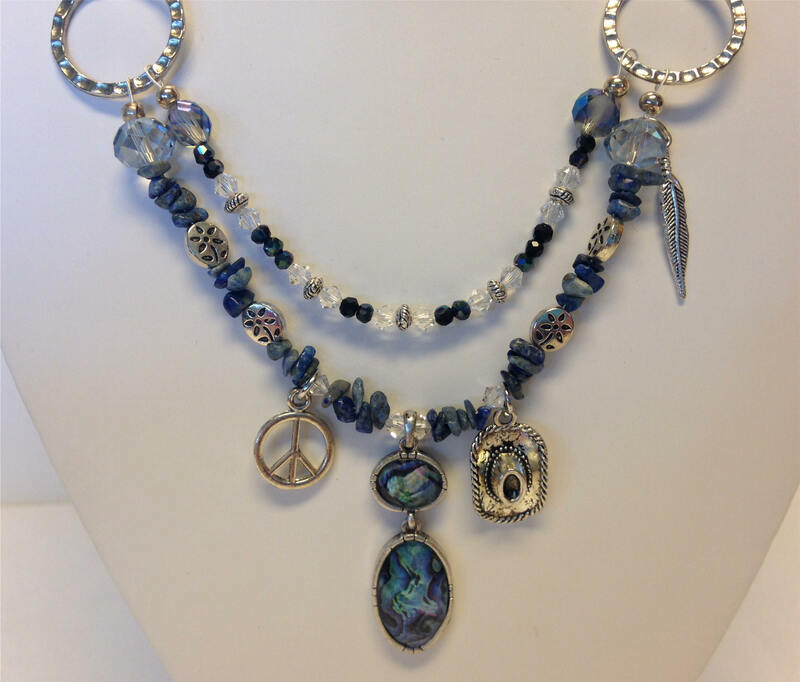 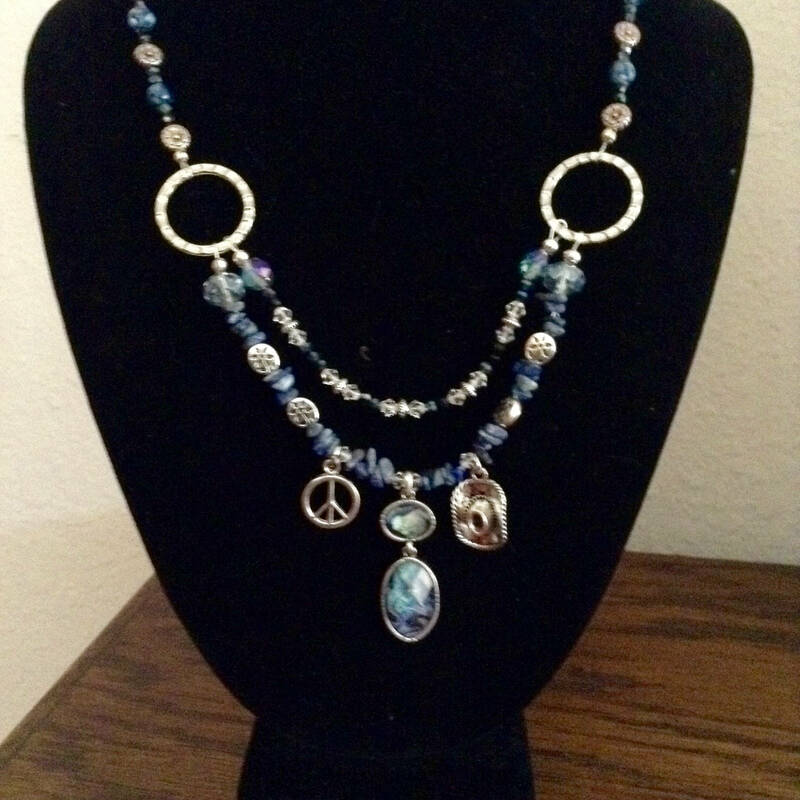 This Texas Hippie Chick necklace features a blue stone pendant accented by a peace sign, a cowboy hat, and a feather. 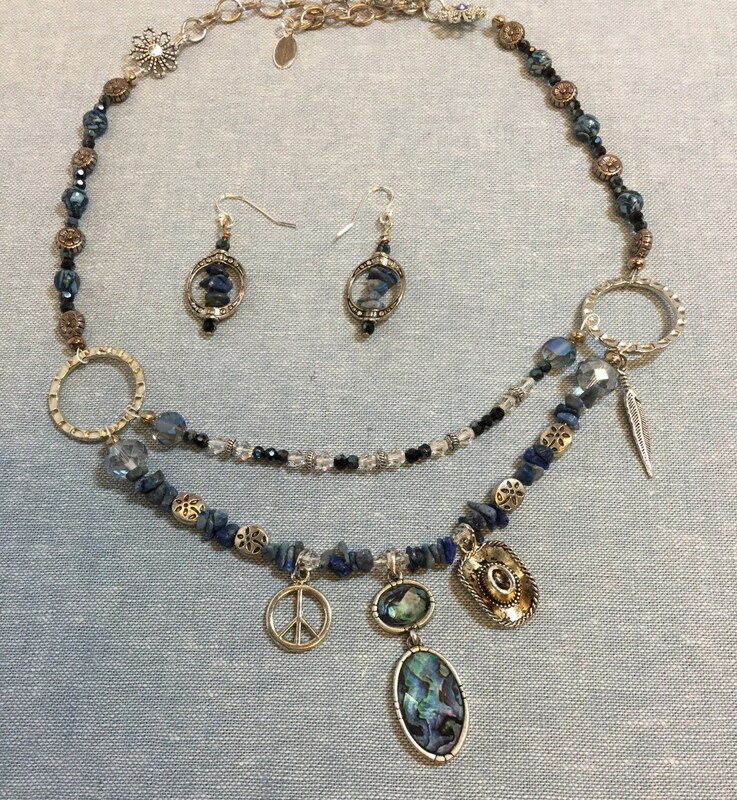 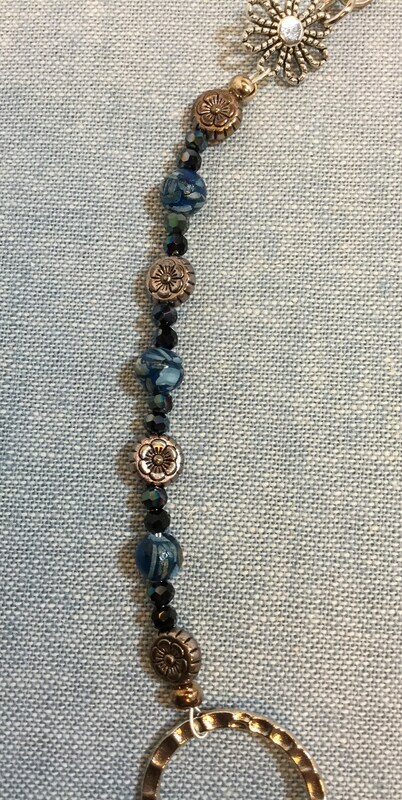 The double strands are joined by silver tone connector rings and feature lapis lazuli chips, Swarovski crystals and shell beads. 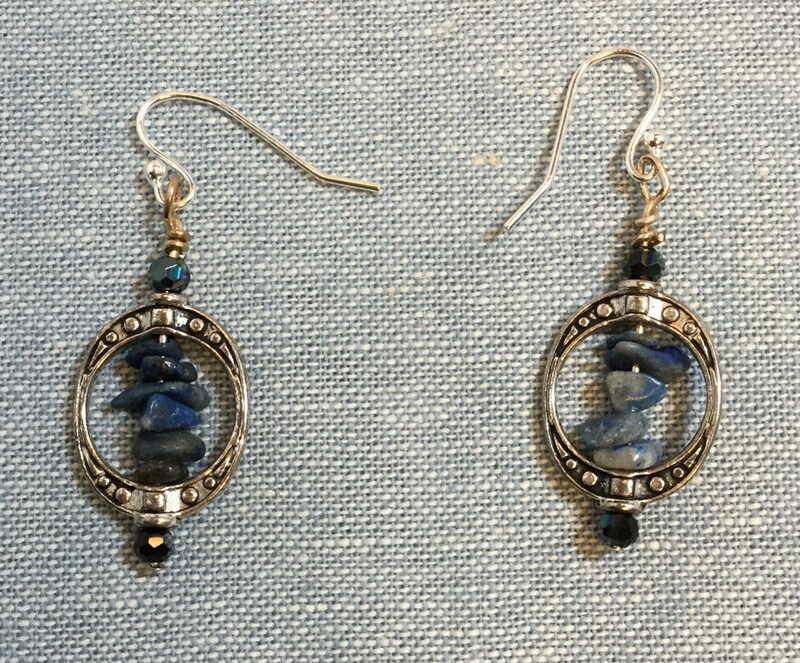 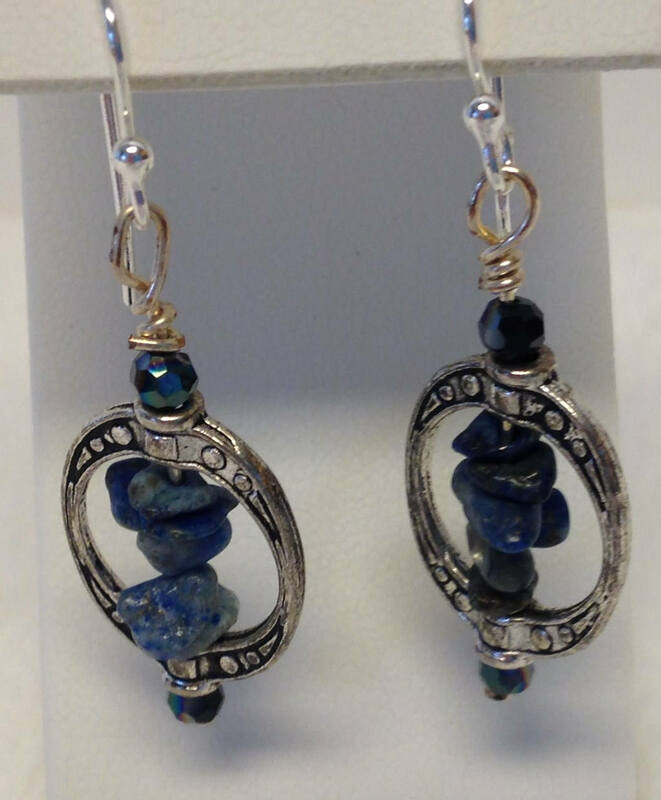 The matching earrings frame lapis lazuli chips and dangle from sterling silver french hooks. 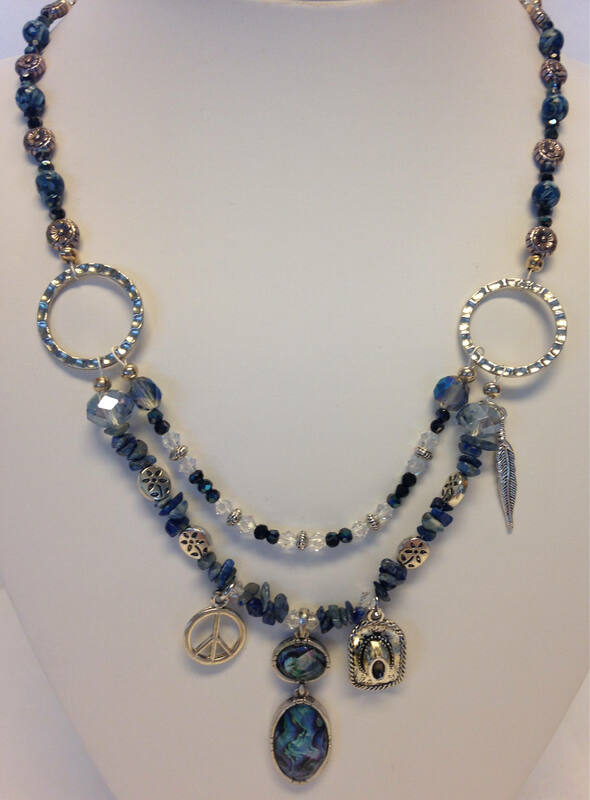 The necklace Is adjustable from 17-18 inches with the lobster clasp.